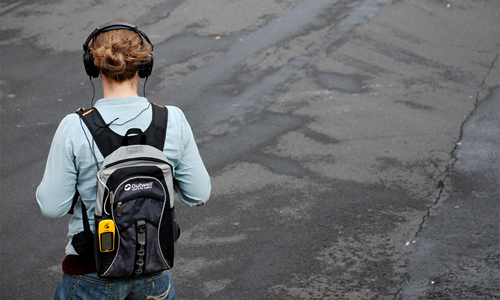 Adaptive Spaces is a location-aware sound art project. It is a piece of software that allows urban explorers to share and collect sound recordings in their local environment. The source code and associated information is available to browse and download under an open source license. An accompanying thesis entitled "Adaptive Spaces: Technological Augmentation of the post-Situationist Urban Experience" (PDF) examines some of the influences that informed the project, and a critical account of its development.